To assist organizations overcome process pain areas / gaps through incremental process improvements, thus raising their overall capability. Data when assembled properly becomes Information. Information when studied and analyzed to understand what it means becomes Knowledge. Knowledge when assimilated and applied to improve the process becomes Wisdom. We have a plethora of tools which can dissect data this way and that and come up with all kinds of correlations. 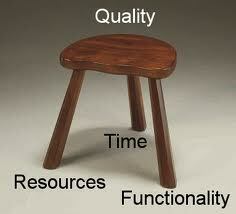 But these tools just by themselves do not provide any insight into what to improve and how to improve. 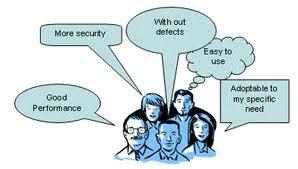 Thus tools are limited to their utility as a helpful aid in the improvement process. The key ingredient to an improvement process is the mindset of the people who work with these tools. One has to have a mindset of wanting to improve, to question all that there is at present and not settle for the status quo. Such a person does not settle for the “As has been happening for ages ” or “There Is nothing that can be changed here” or “ This is the only way to do it” mentality. Operational processes -> Thought processes. This enlarges further on the previous principle. Rather than just implementing a process, we should question as to what is its purpose, what do we want to achieve by carrying out this activity, where does it add value to the final product / service that we want to deliver to the customer etc. Keeping the end customer need in mind, we should try to better each of our internal processes / activities such that we are able to deliver better or faster or both. Thus we carry out our activities consciously with full awareness as to their significance. When our mind is with what we are doing, in such a state we move from operational process to thought process. An output produced by applying such thought processes delivers not just a product or service to the customer but true value to the customer.